Not to sound all cheesy, but Real Techniques Miracle Complexion Sponge really is a little miracle, to me at least. I’ve mentioned it before, but I suffer from very dry skin, and as a result foundation application has been somewhat of a struggle for me. When I was a teenager, my skin was fairly normal to combination and I would be fine using your typical, regular foundation brush no problem. But as I got older and my fibromyalgia started, I found that my skin became increasingly dry and sensitive. Despite really stepping up my skincare routine, it’s something I continuously have to deal with. Foundation brushes are now no longer an option for me at all as they make the foundation cling to the dryness and the end result is not pretty. I had read that using a make up sponge can help with this, and so I went and got myself one from Mac. This did make a big improvement, but it was still a lot of effort and it took careful (read frustrating, hand ache inducing, constant dabbing) application to get a somewhat decent finish, regardless of what liquid foundation I used. Sadly, I put up with this mediocre result for far too long. Shame on me. 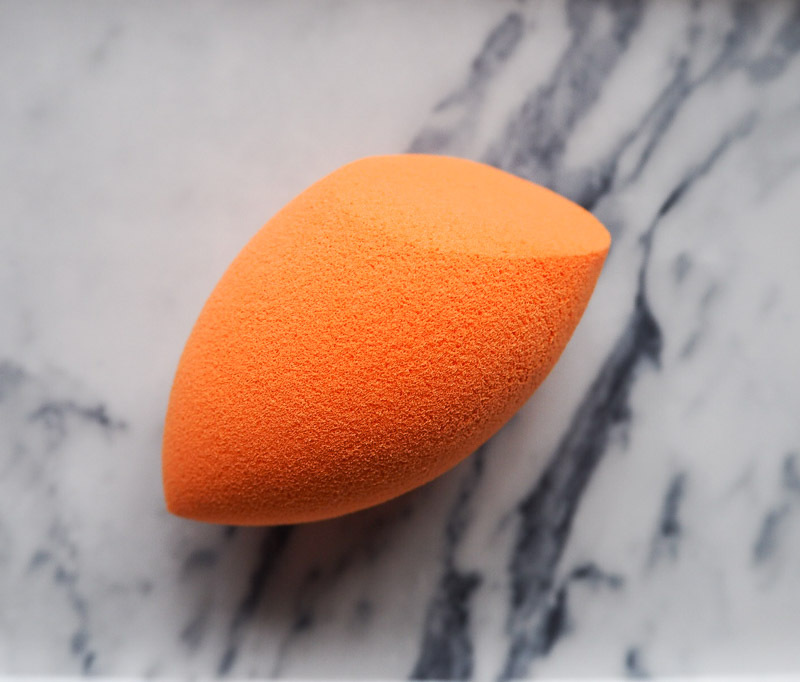 For years I’ve heard people rave about the Beauty Blender, but for whatever reason I always presumed it wouldn’t really be any different to my Mac sponge, other than it being a different, slightly strange looking shape. Then a few months ago, someone recommended the Real Techniques sponge to me. I already used and swear by some of their brushes, so decided to look into it. After doing my research, I read nothing but great things about it and what an impressive (and cheaper) alternative it is to the Beauty Blender. So, I went ahead and ordered one from Amazon, and my God am I glad I did. I seriously cannot tell you how incredible this sponge is and what a difference it has made to my make up. Never in my entire life has my foundation gone on so well or looked so good. It might not be flawless, but it is the closest I think I’ll ever get. Foundation just smooths right on to the skin and blends effortlessly. There are still a few places where some careful dabbing is required, but it is so utterly worth it. At first I wasn’t sure what to make of the unique shape or the best way to use it. It’s suggested that you use the rounded sides to blend large areas of the face with a dabbing or stippling motion, the precision tip to cover blemishes and any other detailed application, and the flat edge for contours around the eyes and nose. I don’t really pay too much attention to the directions though and tend to use it however I feel works best for me. As is made especially clear when it comes to cleaning the sponge, I primarily use the flat edge all over and then the tip for under and around my eyes and for covering blemishes and imperfections, and I rarely use much of the rounded sides. But of course that’s just how I find it easiest to apply my foundation and I’m sure others use it very differently. I guess you go with your make up instincts. In addition to all the positive reviews, what really appealed to me was that this sponge can be used both wet and dry. I had tried dampening my make up sponge before but it just ended up a mess, so I really wanted one that could be used either way. The first few times I was of course stubborn and stuck in my ways, insisting on using it dry. But then one fateful day it desperately needed washing and I’d forgotten to do it the previous night so it would be dry in time for morning. I didn’t have a choice but to use it wet, and the results were even better. I now always use it damp and definitely find it to be the best way for me personally; it gives my make up a lovely dewy finish, something I have longed for but never been able to achieve before. I also use it to apply concealer and my trusty YSL Touche Eclat under my eyes. It really is amazing and an absolute must have for me. It’s a little orange wonder, and I can’t recommend it enough! 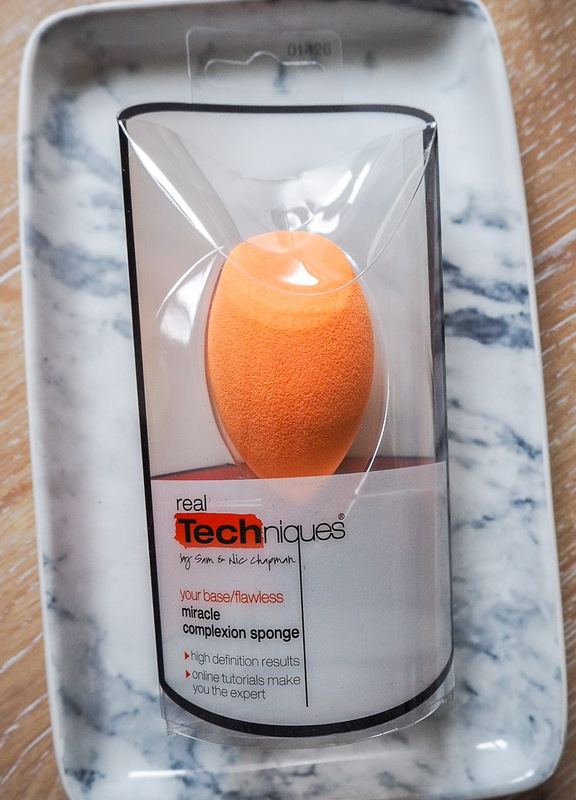 Have you tried this Real Techniques sponge? What do you think of it? Oh wow this sounds so good, I might have to give this a try . To be honest I don't use anything to apply foundation I just use my hands! I definitely need to get a brush or try this out looks good. It's my go-to sponge also. I have SUPER dry skin at the moment too and it blends in my foundation a lot better than my usual buffing brush. I haven't really tried any sponges (all those posts about the things that grow inside them freak me out), but your review has been wondering if it's time! There don't seem to be any downsides about it, and the price is a lot better than the Beauty Blender. In use this as well, and definitely find I get the best results when it's damp. The only thing I don't like about it is that the sponge breaks up a tiny bit every time I wash it and after I've had it for a few months it looks all yucky and I have to buy I new one because I don't want to put it on my face aha! I am so tempted to try the beauty blender in the hope that this won't happen! This does sound like a really wonderful sponge indeed! I was always very skeptical about those weird shaped sponges as well, but I recently bought the Primark Beauty Blender dupe for about €1 and goodness I'm impressed - I use it to apply my concealer and it seems to cover so much better than when I do so with my fingers! Can't imagine what it would be like if I used the real deal. Thank you for sharing this post dear!